VERY often, you hear people use the phrase “think outside the box” in reference to creative thinking. That is, thinking that is not inhibited by existing paradigms, limitations or constraints. Though “thinking outside the box” is important for the generation of new ideas, the creative process involves more than just idea generation. Turning the ideas into reality. Taking this four-stage creativity process and marrying it with the analogy of the “box”, I will put a little spin on it and suggest that other than “thinking outside the box”, you will need to “look for the box”, “think inside the box” and “plan for the new box” to have a complete creative process. “Looking for the box” is about looking out for opportunities to innovate. The “box” here refers to the existing way of doing things, for example, the existing product, service or process. Many people do not look for opportunities to make things better. Without seeing those opportunities, you simply do not have a starting point for your creativity. So, you must look for the box by being observant and deliberate to seek out those opportunities. You see this quality very often in inventors and entrepreneurs; they search for unfulfilled needs in the market and create products or solutions to fulfil them. Curiosity plays an important part in looking for the box. A curious person will challenge the status quo and question if there is a better way to do things and, in the process, finds opportunities for innovation. A degree of healthy dissatisfaction with the current state of things is also important to spur you on to look for the box. This is not about idle grumbling. Healthy dissatisfaction comes from the belief that there is always a better solution and it leads to action. When you have found the box, you may move to the next stage to think outside the box for creative ideas. The “box” here refers to existing paradigms and assumptions. Often, it is by breaking away from the existing paradigms and assumptions that we see new ways to do things. 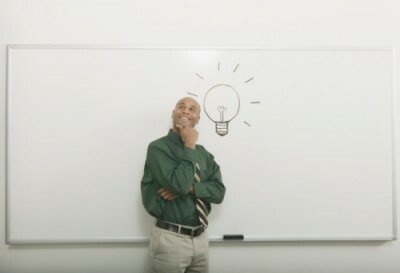 Brainstorming, if done effectively, is an excellent way to think outside the box. One obstacle that stands in the way of thinking outside the box is self-censorship. People often do not bring up a “wild” idea because they are not sure how doable it is or if others will accept it. So they either hold back the idea or modify it into a more “acceptable” form. However, it is the wildness of the idea that brings newness. To overcome self-censorship, you have to suspend your analysis and judgment and just go with the flow. Let the ideas flow regardless of whether they are doable. When a sufficient number of ideas are generated, you may then go to the next stage to work on the “doability” of the ideas by “thinking inside the box”. “Thinking inside the box” is about the process of making an idea doable within existing limitations. The “box” here refers to the existing constraints, such as budget, time, resources and technology. Very often, you find that your brilliant idea is blocked by constraints. Thinking in the box is about thinking of ways to tweak or modify the new idea — without losing too much of its originality — into a doable one within the existing constraints. Architects often do this when they design a building on a fixed plot of land. A helpful thinking process is to first list out the constraints and then think of ways to eliminate or work around them. You will not always be successful in finding a way to overcome the constraints but when you do find one, the payoff will be huge. After you have found ways to make undoable ideas doable, you can move next to “plan for the new box”. This stage is about identifying the necessary steps to carry out the idea. The “box” here refers to the complete solution that comes out of the new ideas. Unless a complete solution is formed and carried out, ideas will just remain ideas and will not bring benefit anyone. Planning for the new box may be mundane. It is not as exciting and fun as thinking outside the box. But a good action plan makes all the difference between success and failure. A good illustration of this is when engineers carefully plan and successfully execute the building of avant-garde structures. What comes after the planning is the action. Commitment and follow through are all critical to the success of the creative process. You should also start again to seek for the next box to work on. Being creative is an ongoing journey. For creativity to bear fruit, the process must move beyond having great ideas. These four broad stages of the creative process that I have discussed may serve as a simple guide for leaders and team members to exercise their creativity in the workplace.